People who live far from their home town due to their jobs are the ones who await this season the most. It's that time of the year where you take your leave from your job and head back to your home, close to your loved ones and have a memorable time! What do you love the most about the festive season? As for me, I love everything from dolling up for the occasions to the house decorations and delicious food about the festive season! Today, I'll be sharing some Home Decor ideas with my lovely readers to turn your home into a sight to behold! If you don't have the time or prop to fix anything at all of your home, yet you want your home to Pep up for this Festive season or for that special party you have thrown tonight then here's the cheat code ~ Curtains! Curtains carry a lot of importance for any home decor. They are that part of your home decor which add maximum significance to your home. They have the power to make your home look FAB or DRAB instantly! Ceilings are the most exposed parts of your house and that's the reason why they should never be left behind. Pep up your ceiling with these innovative Chandeliers and ceiling art. This will give your home a whole new refreshed look and leave your guests gaping at the ceiling! :D Don't over do it, just a soft yet pretty touch will do the trick. Why should your bedroom be left behind? Give it a simple yet effective twist! You can hang light crystals on either side of the bed or simply opt for a gorgeous wall decor to be placed just above your bed. Make use of accessories like crystal beads to decorate your bedroom. You can even use floral hangings in place of crystal ones. Just remember not to go overboard! Use modern Dias which have a bigger lasting power, you can also use electric lights adorned with crystals ~ the aim is to light it all up. When you dim the main lights, these lights will fill youre with a mesmerising glow. Most of the beautiful pictures I have used for making collages in this post are from a wonderful home decor website called Homify.in. I simply couldn't resist their mesmerising home decor collections and the above two are what I loved the most of what I got to browse. These different shaped rolling woods are a MUST HAVE I say! They are what you need to set a trade mark. A perfect way to beautify food! Get creative! Think of some unique ideas which will surely stand out and will be remembered. This 3D Rangoli decor is surely a perfect sight of beauty which your guests will instantly fall in love with! You can also use Big real flowers. Do something out of the box which will instantly revamp your home. Coming to the most significant part of your home ~ the walls! Make your walls speak... There is an unlimited choice of murals, wall arts and wall stickers you can choose from these days. Remember that even if people fail to notice anything about your home, they can never miss the walls as they are practically everywhere! So adorn the walls of your home with antique wall clocks, eye catchy murals and stickers of witty tongue twisters and proverbs. Good tips-esp the bead curtains and this cute stool.Thanks Bushra. Loved all the ideas ! Fabulous post ! Plus I loved the products you shared from Homify.in! Good design work... ideas are really good. Fabulous decor and interior design work. Nice usage of materials. Amazing interior design....thanks for sharing a valuable info. great Idea with new styles thanks for giving good desing. Great Post Thanks For Share Your Ideas With Us.It Is Very Interesting And Useful Information About Luxury High End residential interior designer in mumbai. Interior designer jaipur consult for interior. Thank you for your post. thank you sharing such information,it really worked. Hi! This is sithara. Looking forward to more posts in near future. I have also found some interesting info on the top most Interior Designers In Chennai. 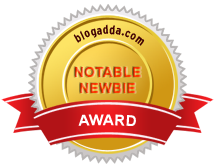 The blog was very nice and innovative. It give lot of ideas on interior designing. It will be very useful for the people who thinking of change their home or office interior.